We are Rounding-Up the top pro and amateur freestyle skateboarders from around the world to compete at the eighth annual WORLD FREESTYLE ROUND-UP for a chance to win part of the $10,000 in Prize Money. The four day event will be held at the CLOVERDALE RODEO & COUNTRY FAIR, just 25 miles east of Vancouver, British Columbia, Canada, from May, 17 to 20, 2019. Over 77,000 people attended the annual Rodeo and Fair last year making this an ideal high profile location for this contest. The World Freestyle Round-Up will once again take place inside the Cloverdale Curling Rink on the Cloverdale Fair Grounds. The building will be changed into an arena setting featuring a 80 foot by 140 foot flawless concrete floor that is ideal for flatland freestyle skateboarding. Each day there will be several shows featuring freestyle demos and contests using a Battle Format making it more interesting for the riders and audience as well. Several skaters will compete as a group each going one by one preforming a routine with an announcer and DJ spinning tunes to keep the crowd and skaters pumped. This years’ contest is hosted by the Cloverdale Rodeo & Country Fair and co-sponsored by Powell & Peralta, Henry Candioti SKATE-4-FUN, AllWest Insurance, Sector 9, Momentum Wheels, Bones Swiss Bearings, Protest Skateboards, Thor Media, Suavecito Pomade, Sasquatch Sign Company, Pro-Tec Helmets, Newline Skateparks, Richmond Steel Recycling and The Scaffold Depot. Contest producers Kevin Harris and Monty Little have one goal in mind. 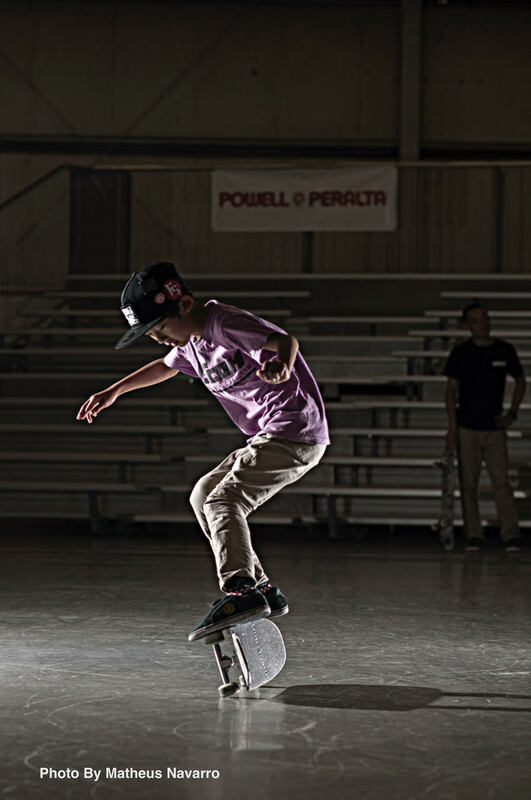 To create the world’s most exciting freestyle skateboard contest, making it an annual event at the Cloverdale Rodeo & Country Fair. What the X-Games did for Vert, and Slam City Jam did for Street, we hope the World Freestyle Round-Up will do for Freestyle, leaving the contestants and the audience wanting more and eagerly anticipating coming to next year’s event. We invite you to watch this exciting contest trailer highlighting the previous World Round-Up’s produced by film maker Darryl Grogan who won the 2012 World Round-Up. 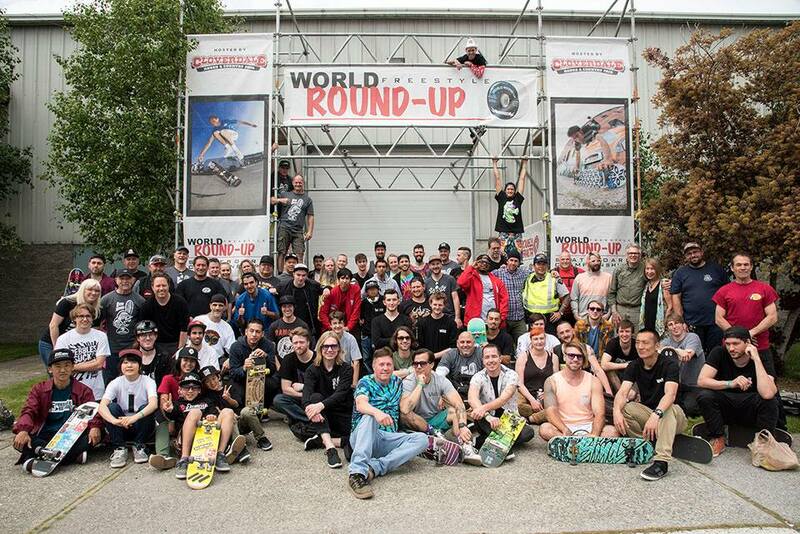 Top freestyle skateboarders from 13 countries, pictured above, came to the Cloverdale Rodeo and Country Fair to show off their 360 spins and other tricks and compete for $10,000 in prize money. Highlights of the 2017 contest are featured in this action packed You Tube Video produced by Alan Husejnagic of StarBeat – Social Talent Discovery. NOTE: The Final Results shown above show only the Pro and Amateur standings for the skaters that made the cut into the Semi-Final and Final Rounds.